We’re excited to be kicking off our new Impact Investor Challenge next Wednesday! What is the Impact Investor Challenge? A social Impact mindset is on the rise and businesses are starting to be more mindful of ethical practices. There has been an increasing demand from investors to understand how they can invest with a deeper conscious while balancing returns. To address that, we’re starting this program with the aim of training at least 10 new impact investors annually. Investors will go through 10 weeks of immersive programming where they’ll be exposed to deal flow, terms, and strategies to help them make their first impact investment. 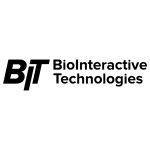 20 impactful companies spanning multiple industries have been selected from over 100 applications to pitch to the investor cohort during the Kickoff Event. 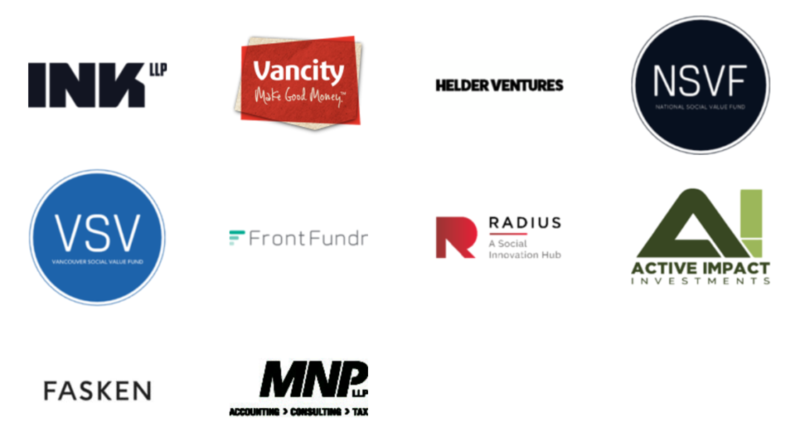 From this evening, 5 will be shortlisted to secure $100,000 in investment from the investors. It was a very competitive selection and the 20 companies really stood out with good traction, a strong vision for using business as a force for good, amazing teams, and impressive progress. Announcing The Top 20 Companies! 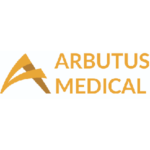 Empowering safe surgery worldwide by providing safe & affordable medical devices. To provide a solution for food and beverage entrepreneurs to grow their business through access to facilities, distribution, shared resourcing, and industry expertise. Our vision is to become Canada’s preeminent kitchen partner for restaurants and retail partners for access to high grade professional facilities to extend their high traffic kitchens, support expanding delivery demand, without the risk of capital expenditures and development timelines. ehsAI converts complex EHS regulation and permits into action items, in seconds. Our AI engine automates the interpretation and extraction of your EHS requirements or action items in regulations, permits, etc., increasing productivity and accuracy exponentially. 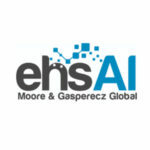 ehsAI is easy to integrate into any EHS compliance workflow. Mailable greeting cards with organic microgreen seeds. You send it and your recepient gets to plant, grow, and eat it! The concept was developed around the idea of connecting people through an engaging and interactive experience. We truly believe that in a world of digital communications real-life interactions still matter. We hope you believe that too. InformedIn helps city managers save money on energy and operations management by showing them how to run their facilities greener and leaner. Our facility management platform integrates sensors to collect information about how your facilities are being used. This data fuels our platform to identify areas of opportunity for city managers to run greener and leaner facilities. InformedIn sensor and software solution can track usage of indoor and outdoor facilities. We carefully select the right sensor modules, the right casing, and the right power supply so our sensors can track everything from indoor senior rooms to brand new outdoor tennis courts. 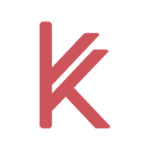 Kanekta is a digital sourcing platform connecting ethical brands and suppliers to retail buyers across the globe. We make stocking your shelves with responsible brands easy. Boutiques, gift shops, home and lifestyle stores and e-commerce curators alike can place purchase orders from multiple brands directly, through a simple, streamlined buying process for all parties involved. 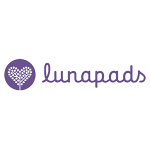 Lunapads International is a women-owned social mission driven business based in Vancouver, Canada. Our goal is to help people have more positive and informed experiences of their period, and by extension, their bodies overall. 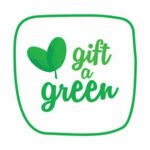 We’re deeply committed to building a more environmentally – friendly and socially just way of doing business to ensure a better future for menstruating people and the planet. We’re particularly proud of how our customers help divert twenty million disposable pads and tampons from North American landfills every year. A makerspace is a communal workspace where people can share tools, knowledge, and skills. It’s a shop where we create, not consume. 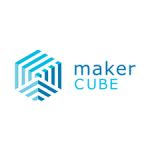 A hub for producers, inventors, students, and educators. A home for inspiration and innovation. A place where you feel like you can make anything. A makerspace removes barriers that block the creative process. Perhaps you don’t have the space at home to create or you’d rather not make a mess in your living room that would take months to clean. A makerspace can provide you with both communal and private space for you to work in an environment suited for all types of fabrication. Perhaps you’re not ready to invest thousands of dollars on specialty equipment. A makerspace provides access to these tools by sharing it amongst its members and making it more affordable for individuals to use. Additionally, it creates the opportunity to explore new tools you may never thought you would have access to or learn how to use. Most importantly, a makerspace is a community. A place for people to meet and collaborate with like-minded individuals. There is never a lack of interesting projects and people to show you that the possibilities are limitless. Mompreneurs Worldwide is founded on the vision that “Empowered Mothers Raise Empowered Leaders”, and therefore champions women’s empowerment through entrepreneurial education and mompreneurship to help members to find balance and success in their personal and professional lives. 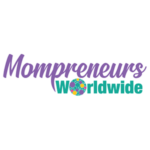 Mompreneurs Worldwide, based out of Canada and the United Arab Emirates, provides 3 key areas of support to mompreneurs across the globe. These include: education through The Mompreneur Academy, community through the B2B platform and events, and promotion through a directory and social network. The Mompreneur Academy offers educational courses and training to members, which includes a signature course called Mompreneur Rising and a self-mastery training called You Can Have it All, and monthly live training seminars and mentorship support. Our oceans are full of information. Information that can protect at-risk whale species, allow ships to voyage more fuel-efficient routes, crack down on illegal fishing, and enable us to better understand the impacts of climate change. Our boats are equipped with sensors, cameras and communication devices so that we can capture information from anywhere on the ocean and have instant access to it. Harvesting energy from the sun and the wind, our boats travel nonstop for months, without producing any greenhouse gas emissions, noise pollution or risk of oil spills. 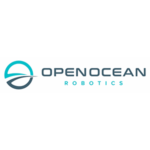 They are an essential component to creating a digital ocean, an Internet of Things for the sea, where we finally begin to understand some of the most mysterious regions of our planet. PROtect is the smart & simple app for protecting yourself. Count on your loved ones to help keep you safe. PROtect alerts your circle when you’re in a situation that calls for extra security. Actor and web developer Kahlil Ashanti wanted to perform his new show, called Razor – but he wasn’t sure how to decide the ticket price. He asked the audience to drop money in an empty trash can as they left. He made more money than had he charged $20 per person. Clearly people valued the show more afterwards, but they still needed a way to reserve a spot. He also wanted to thank them for their generosity, but he didn’t know who gave what. There were no existing solutions for this, and it gave him an idea. 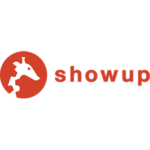 Why not build something online that makes it easier for audiences to do all this in one place? So many artists were building new shows. Why not help them build new audiences? We are revolutionizing health economies by co-designing low-cost technologies that are replicable, scalable and transferable. Our systems ensure patients receive the medicines and level of care when and where they need it. Our systems generate high quality, real time, actionable data that will be used to inform policy and business decisions in health economies. SilverFit Whole Health Studios are boutique, personalized wellness centres designed to help you stay healthy and live your best life. At SilverFit, you’ll have the opportunity to work with someone who understands where you are in life. We believe these are your best years and we’re here to help you fully enjoy them! 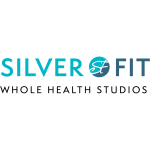 Every aspect of SilverFit studios was researched, then curated, to support you in achieving your wellness goals. We offer an open, bright space with décor, ambiance, amenities and equipment all focused on your needs and desires. We are also proud to feature state-of-the- art wellness equipment by HUR, a leader in machines designed just for you. The Discourse is tackling misinformation and polarization with a new model of local journalism based on deep listening to people who are often excluded from public and political dialogue. 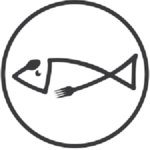 We want to create the world’s most trusted seafood traceability system that empowers consumers and rewards producers. Trellis is bringing philanthropy into the modern age, growing events and community initiatives into a greater force for social good. 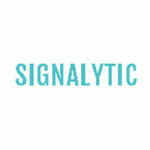 We are passionate about empowering people and organizations to do good with easy-to-use and impact-focused technology. Doing good should be fun, simple, impactful, responsible and sustainable. With Trellis, you can promote impact in your community by creating online events in a fresh and innovative way that will cause people to become passionate about your cause. 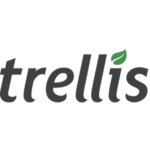 Trellis simplifies your fundraising events in a donor-focused transparent and honest way, while offering third-party initiatives, built-in automated tax receipting, and split receipting. Bring your next event into the modern age, and experience how Trellis can help you grow today. 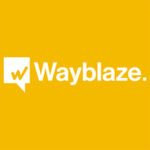 Wayblaze is an innovative crowdfunding and community engagement platform that brings your community together to inspire, discuss and fund community projects and businesses. We are building a community of change-makers to create better, more sustainable places and more engaged citizens. Our projects can range from small neighbourhood-based initiatives to larger energy and social-purpose real estate projects. We can host projects focused on public art, place-making, local business ventures, habitat restoration, active transportation, parks & playgrounds, community buildings, affordable housing, alternative energy systems and sustainable real estate – any initiative that improves a community and is accessible to everyone. The path to improving your community often starts with inspirations from around the world(check out the Inspiration Zone) or suggestions from your fellow residents. Those ideas get shaped and voted on and the ones that get strongest support can then be turned into fundable projects. Unlike other crowdfunding sites, we don’t just stop when the project is funded. Our platform encourages project proponents to post implementation updates so you can continue to follow a project as it unfolds. You can literally see on your map how your community is being transformed with each completed project. 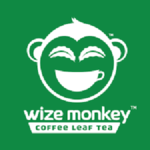 They have been consumed for hundreds of years around the world for various health applications and is known as a traditional tea under the name of ‘kuti’ in Ethiopia and ‘kawa dawn’ in Indonesia. By upcycling the typically wasted prunings from the coffee plant, we can generate year-round jobs for coffee works that would otherwise move their families to seek temporary off-season work.